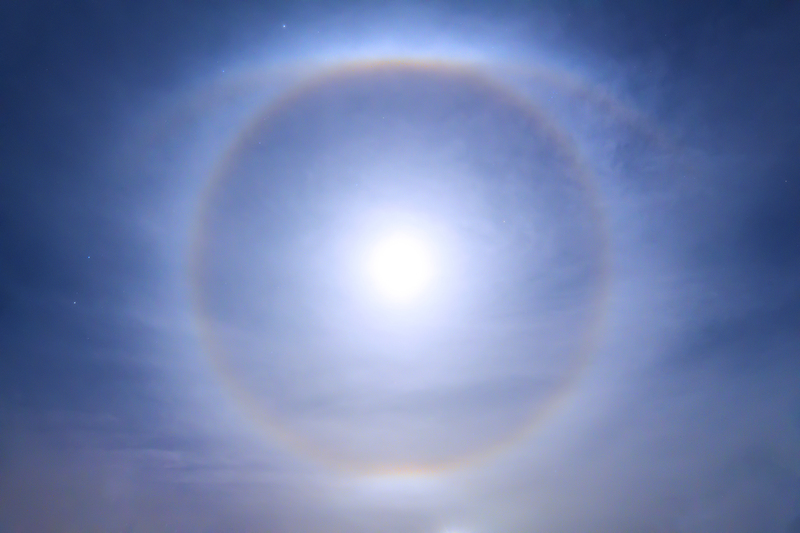 The best lunar halo that I have ever seen appeared yesterday night, around dinner time, filling the whole sky in front of my eyes. A view that came to be even more spectacular when the tangent arcs came into view, with the upper one having the shape of two spreading wings, and the less noticeable lower one. A fantastic emotion to be able to see this wonder of nature!